At Toner Buzz, we ship our products to nearly every corner of the country, excluding Hawaii and Alaska. Please note that restrictions do apply on certain products which we will advise you accordingly when you purchase. 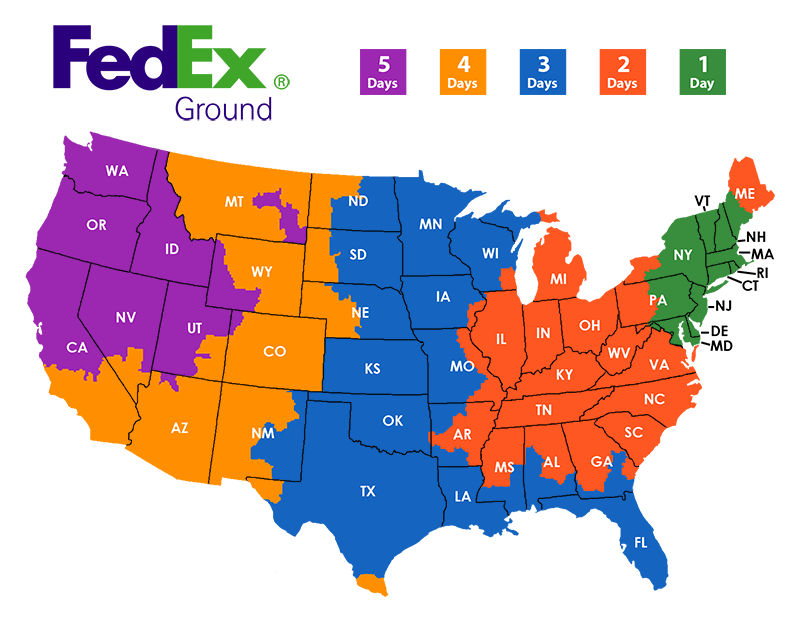 To estimate your delivery date with ground shipping, please refer to the above map. Our shipping services are offered free of charge to our esteemed customers. However, we do offer express second day or overnight shipping for an extra fee if needed . Unopened and undamaged products can be returned to Toner Buzz within 30 days of the purchase date, after receiving a return confirmation, for a full refund. Requests to return items opened after purchase, or unopened items after our 30-day return period will be handled on a case by case basis. Restocking or return shipping fees may apply depending on the time elapsed as well as the condition of the item(s) being returned. To open a return or replacement request for a defective item, please have a copy of your Supplies Status Page as well as pictures of the damaged item and/or printing error. This information is needed to assess an item for defects or damage. Please keep all original packaging in case the item needs to be returned. Once your return request is opened on our website, a Toner Buzz representative will reach out within one business day to gather more information. Please wait until receiving a return authorization to move forward with the returns process. Items sent back without a return authorization will be denied. Go to the ‘My Account’ menu and select ‘Complete Orders’. Locate the order you would like to return on this page and select ‘Return Item(s)’. Wait for one of our return representatives to reach out with the next step. When returning your item, please allow for shipping time, warehouse processing, and returns processing. We will inspect your return and process your refund or store credit within five business days of delivery in most cases. Please reach out if you have not heard back from us within this time. The value of any promotional gift card that was issued for a returned order will be deducted from the final refund. If you have any questions or concerns please e-mail us at returns@tonerbuzz.com.